Therapies in which animals have the main role are not unknown. They can help us defeat fears, accept our flaws, in other words, they can help us become better persons. Horses are among those creatures that have the amazing ability to help you grow from all points of view, spiritually, mentally, emotionally and physically. What is even stunning about horses is that they will never refuse to help us, knowing in some way that they can be of great aid to us, to our development. Have you ever seen a horse run away from a person that needs help? Regardless of the problem, the horse will be there for you. How can a horse know something is wrong, or not, with us? They are extremely sensorial creatures, responding to the changes, both positive and negative, in our behavior and language. They will immediately react to the energies surrounding them, turning into real mirrors of what they perceive in their proximity, reflecting emotions and energies. Thus, in their interaction with us, all their reaction are in close communication with what we transmit. In various situations, they better understand the states we are in, even before we have the chance to react, offering immediate feedback, which is always a pure and honest one. Since the beginnings of time, man was continuously fascinated by these animals. They were always depicted are being the perfect embodiment of power and grace, even though, on many occasions, they served as animals of burden. But for the people that respected horses and appreciated their company, these animals turned into their best friends, into teachers and healers, showing them how to become better people. Their entire herd structure tells a lot about horses since each has a well-determined role in their society, communication being a key aspect. They have learned to communicate and be sensitive to the states of others in their herd because their lives depended on it. Thus, they will immediately react to the energetic changes in our bodies, being attentive readers of our body language. So, you should know that the way they react is actually a reflection of your inner state and energy. If you are unable to understand what you are going through, being close to a horse will how a reflection of your inner self. When looking at ourselves, we may be subjective and not see the reality we live in. We may feel unhappy, but not knowing why we feel this way. The horse will reflect your reality in an instinctive manner, so you should interpret its reactions around you just like seeing yourself in a mirror. Thus, if you are subjective about your person, a horse will not be, as it is not emotionally involved in a relationship with you. This is what makes a horse so efficient when it comes to these readings. They do not know who you are, have no knowledge about your person, as they will see the real you and the energy you are transmitting. Horses can also help us connect with life, with nature, things we forgot to do in today’s modern society. They can inspire a feeling of joy and freedom, studies showing that the mere presence of a horse will increase the frequency of brain waves. 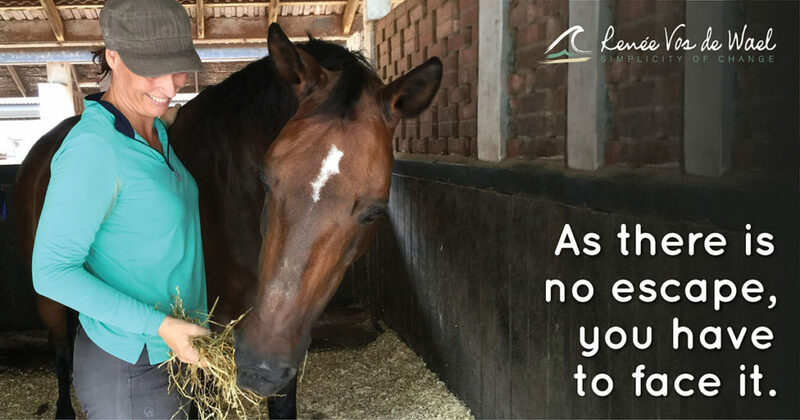 A horse will have an incredibly calming effect, reducing stress and improving sleep. They can help us heal physically and emotionally as well. In many ancient cultures, the horse was seen as a pathway to achieving a higher self, explaining the constant fascination of man for these majestic creatures. This entry was posted in blog and tagged blog, blogger, Change, dogs, equine, equinemassagetherapist, essential oils, fun, good vibes, Gratitude, guidance, healing, holistic, Horses, inspiration, intuitive, life, naturalhorsemandship, naturalsupport, naturaltherqatist, passion, passionate, personal development, Personal Growth, Renee Vos de Wael, support, thoughts, young living. Dear Danielle! You are wonderful for recognizing what you can change/need and most of all to be open to the conversation with Samson. He is an amazing horse! What a beautiful connection the two of you have.